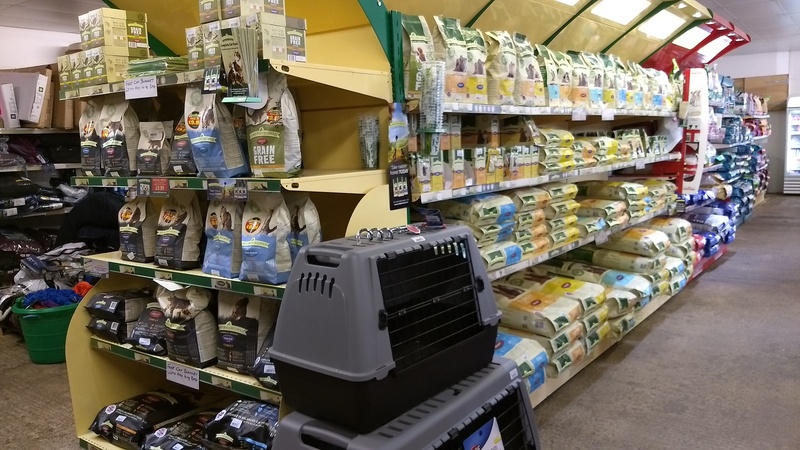 One of the largest areas of the store is dedicated to dog food. We currently stock over 25 different brands of dog food so there is plenty to choose from! We aim to provide a variety of choice for your dogs including dry kibbles and mueslis, tinned and pouched meat and mixer biscuits. 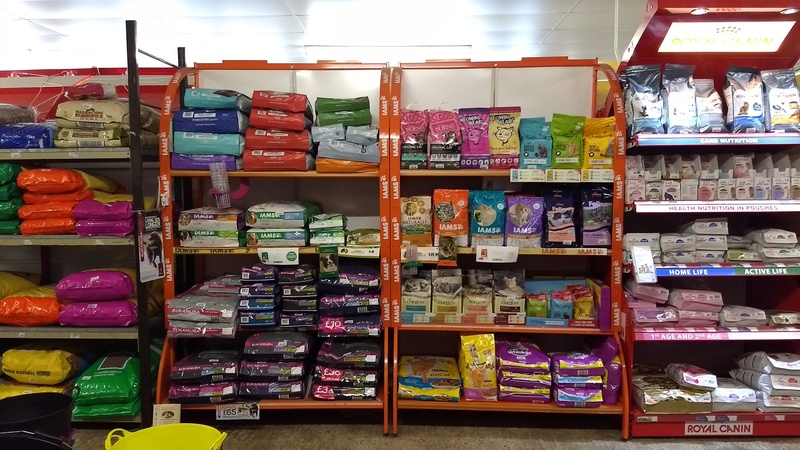 We stock a selection of well known brands such as James Wellbeloved, Royal Canin, Burns, Eukanuba, Chudleys, Pedigree, Bakers, Nature Diet, Hills Science Plan, Iams, Barking Heads, Winalot plus many more. We also stock our own brandof working dog food in kibble and muesli forms made for us by Dodson & Horrell.As most of our staff are dog owners they are always on hand to offer advice on which food may suit your dog best and give their personal experiences.For a full list of stock and up to date prices please call us or pop into store. At Denne Country Stores we carry an assortment of different cat food including dry biscuits, tinned meat and pouched meat. We cater for all types of cats by not only stocking food for kittens, over weight and senior cats but by also stocking the breed range from Royal Canin so you can ensure your feline friend gets the very best nutrition exactly tailored to them. The staff here are mostly cat owners and we also have a store cat so we are always on hand to offer advice as to which food may be best for your cat as we know how fussy they can be!The brands we stock include James Wellbeloved, Royal Canin, Whiskas, Felix, Go-Cat, Iams, Meowing Heads, Chudleys Feline, Burns, Hills Science Plan and Gelert. For a full list of stock and up to date prices please call us or pop into store. 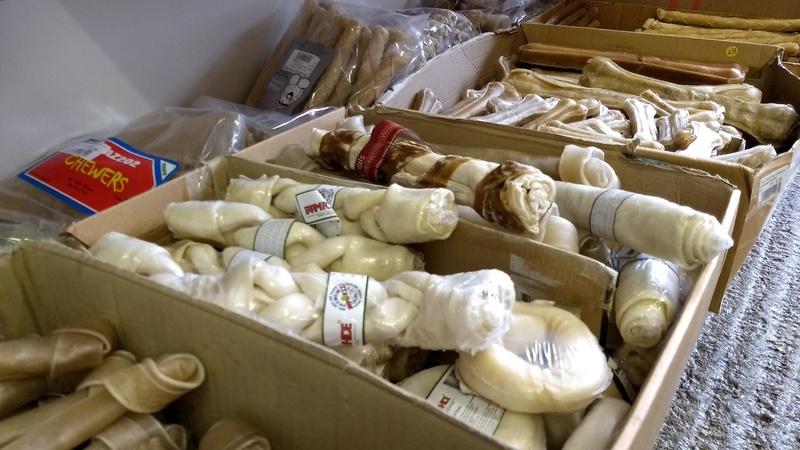 At Denne Country Stores we stock a huge variety of treats and chews for all your pets. We stock dog treats and chews from brands such as James Wellbeloved, Burns, Harringtons, Pedigree, Natures Menu and Farm Food Rawhide. These include treats suitable for puppies, training treats, dental chews, hide chews, biscuits and natural treats (knuckle bones, pigs ears and liver strips). We also stock a range of non edible, nylon chews which are great for aggressive chewers and for keeping your dogs occupied.Our cat treats come from Whiskas and Natures Menu and include dental biscuits. We also cater for the small furries in the treat department with stick treats, beetroot sticks and milk drops as well as wooden chews for dental hygiene.